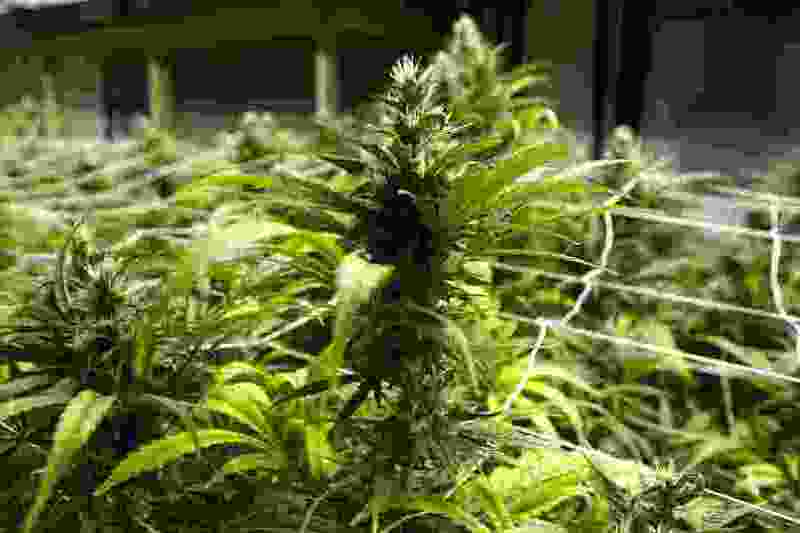 Backers of legalization say they hope to gather the nearly 113,000 signatures required to land on statewide ballot before the Utah Legislature convenes in January. (Ed Andrieski, Associated Press file photo) Marijuana plants in a grow house in Colorado, in 2013. Backers of a medical-marijuana initiative in Utah said Thursday they had received approval from state elections officials to begin gathering signatures to land the measure on the 2018 statewide ballot. Medical marijuana supporters in Utah received a go-ahead from state election officials Thursday to start gathering signatures needed to qualify the measure for the November 2018 ballot. Utah Patients Coalition officials said they will begin collecting signatures next week — with a stated goal of gathering all 113,143 signatures required before the January start of the 2018 legislative session. If it wins voter approval, limited numbers of cannabis outlets and physicians would be permitted to prescribe marijuana for certain medical conditions. Smoking marijuana, driving while intoxicated by medical cannabis and public use would remain prohibited. Topical products, oils, edibles and vaping supplies would be permissible under the measure. Some of the proposed qualifying medical conditions include Alzheimer’s disease, cancer, multiple sclerosis, post-traumatic stress disorder, chronic pain and autism. Signature-gathering approval by Lt. Gov. Spencer Cox followed extensive meetings with election officials, state tax authorities, and legal and budget analysts for Gov. Gary Herbert, as well as 10 public hearings held across the state. Initiative backers said they made two technical changes to the measure, based on feedback from state officials. They removed a provision on tax deductions, partly because it would have required a legal interpretation of federal tax law and action by state tax authorities. Advocates said they would revisit the tax issue with state lawmakers and the state Tax Commission if the initiative becomes law. Proponents said they also added a restriction on the amount of medical marijuana that patients or caregivers could legally transport, bringing the initiative’s language in line with similar restrictions on pharmacy drugs. Utah Patients Coalition officials praised state leaders and members of the Republican governor’s staff for adhering to a “respectful and timely schedule” in getting the initiative to this stage. “Everyone involved worked efficiently and provided important input, helping us make sure that Utahns will vote on the best proposal possible,” said Schanz. Washington, D.C., and 29 states — including states bordering Utah such as Nevada, Arizona and Colorado — had legalized medical marijuana in some form as of July, according to the National Conference of State Legislatures.